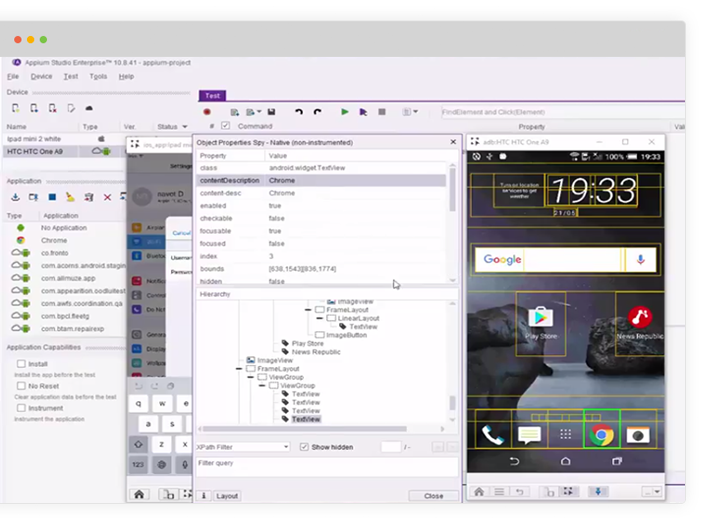 Install Appium Studio with a single click along with all the required development tools. 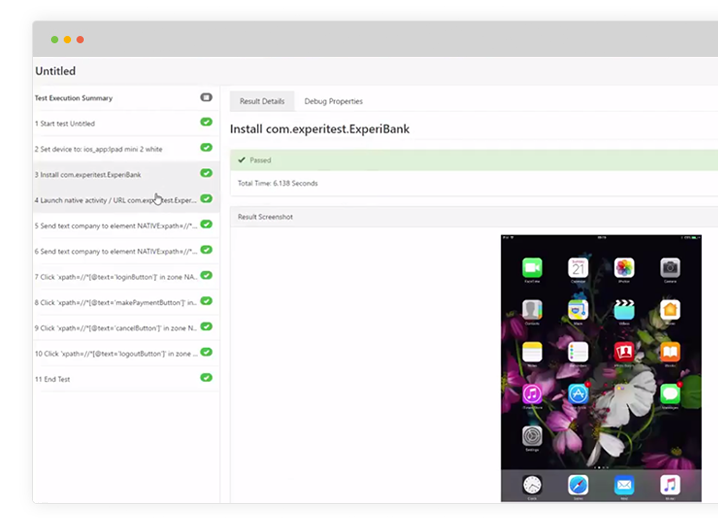 Use the intuitive GUI to easily develop new tests or execute existing Appium testing projects on any local or remote devices. 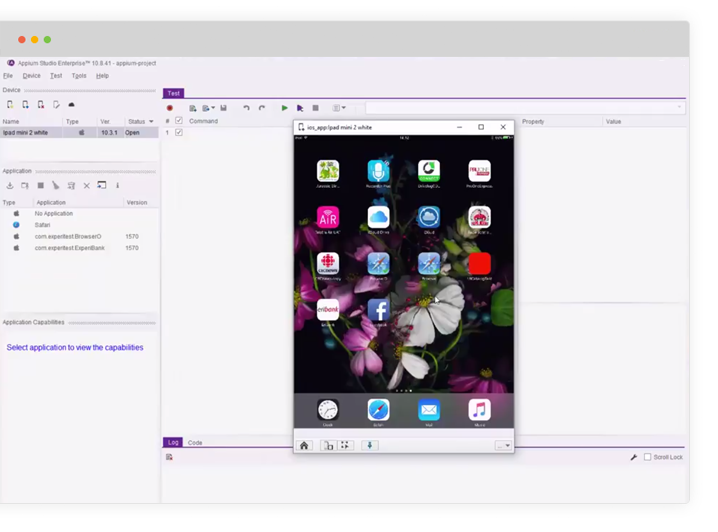 Perform Appium testing on iOS devices using a Windows machine and connect up to 10 devices. Enjoy automated registration of Apple devices to Apple developer accounts that eliminate the provisioning process. Achieve high coverage rates by testing outside of your app (SMS, network, settings, Facebook) and third-party integrations for complex use cases such as code scanning or fingerprint authentication. Guaranteed rapid version and beta support. 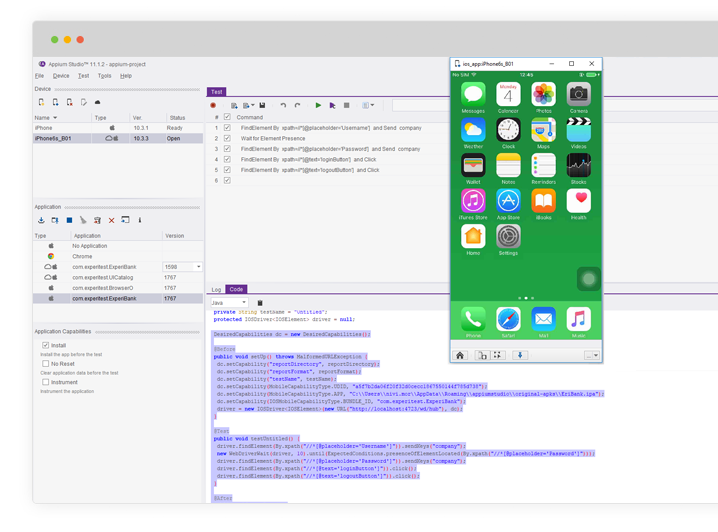 Run your existing Appium tests with no need for modification using Appium Webdriver API, run tests developed in Appium Studio using any Appium tool. Easily understand application structure and write robust, maintainable tests scripts with advanced object identification methods such as XPath and Object Spy. Receive detailed test reports including screenshots and videos, for shorter root cause identification and faster fault resolution. 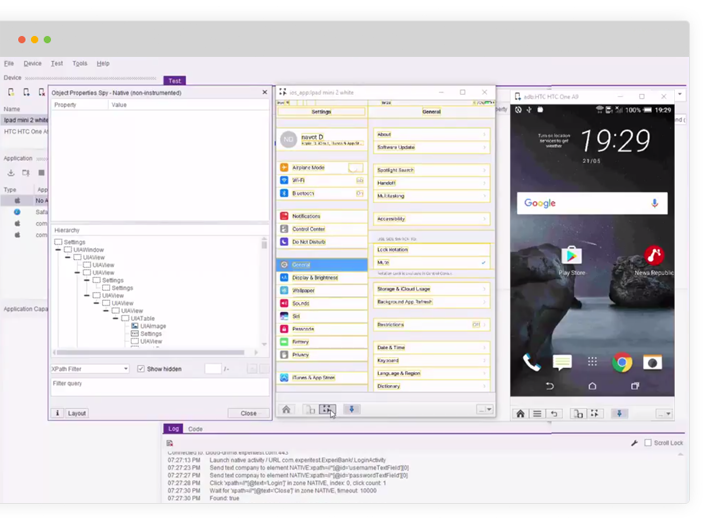 Perform end-to-end mobile test automation directly from within your IDE with Appium Studio plugins for IntelliJ and Eclipse. 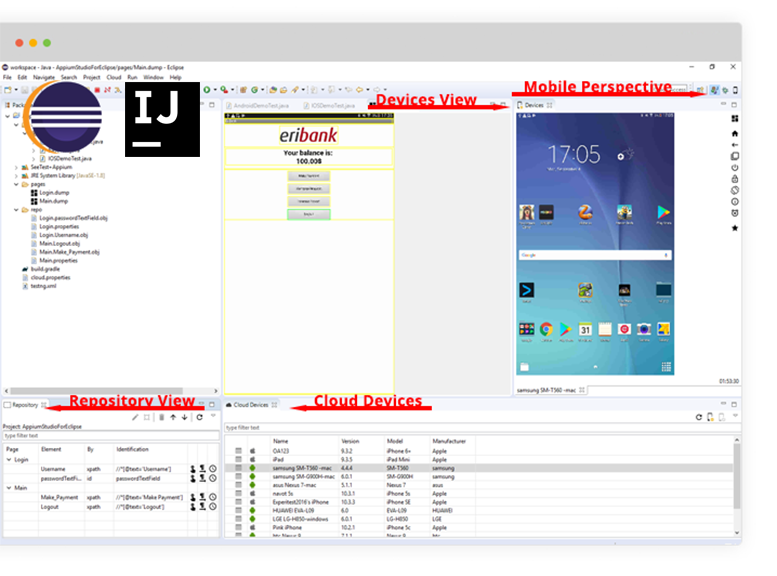 Easily develop, automate, analyze and debug your mobile tests right in your IDE, on remote physical devices.